Maruti’s attempt at salvaging the forgotten Versa, the Eeco is a bare-bones MPV. It’s amongst the most popular picks for school vans and even ambulances, considering its versatility. The Eeco is powered by a 1.2-litre petrol motor that develops 74PS of power and 101Nm of torque, paired with a 5-speed manual gearbox. Notably, there’s no AMT variant or a diesel option on sale. Maruti offers both a 5- as well as a 7-seater configuration to suit on your requirements. 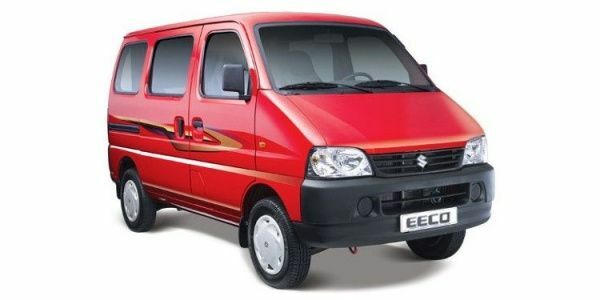 Maruti Eeco prices start at Rs. 3.52 lakh for petrol and goes upto Rs. 3.93 lakh. Maruti Eeco is available in 5 variants and 5 colours. Share your experiences with Eeco? The claimed ARAI mileage for the Maruti Eeco petrol is 15 kmpl, and for the Maruti Eeco cng is 20 km/kg. Q. I want to buy a car which brand having maximum resale value that to low budget car. Q. Can we install LPG in 7 seater? The confirmation regarding the installation of LPG can be confirmed from the authorized service centre only. Therefore would request you to please get in touch with the nearest authorized service centre. Q. Which car is the best Eeco or Omni? Q. Should we fit AC on top model 7 seater of Maruti Suzuki Eeco? Q. Kya Maruti Suzuki Eeco 7 seater mein AC lag sakta hai? MSIL's Eeco is a multi purpose van. The shoebox design, large proportions and 8 seater capability at the price of a small hatch have made it an instant success. The vehicle itself is very basic in terms of features and apart from air conditioning the Eeco doesn't boast of much more. Powering it is a 1.2 liter petrol engine that promises a healthy fuel economy and enough grunt to get around town or cruise on the highway. Don't expect it to set any speed records, however it is a great people mover and is finding a growing fan club with taxi operators. Confused about Maruti Suzuki Eeco?